Sunset over Khajaguda lake, Hyderabad. 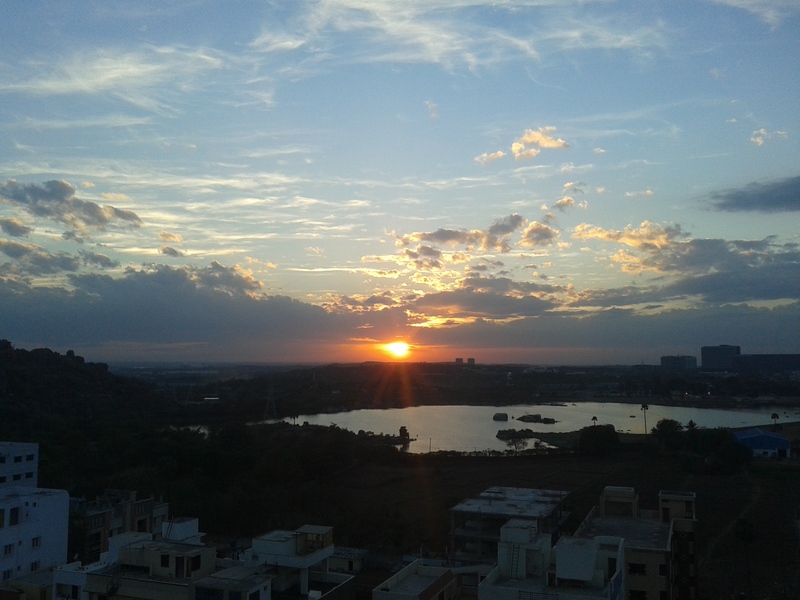 I clicked it from a friend’s flat near ORR. For reading my stuff and, giving me an opportunity to share yours. Thanks Bhawana. 🙂 Hope you too keep writing. Thanks for your blog, it is interesting, thought provoking and enlightening! And glad to be so! Many Congrats Pranav on completion of 2 yrs.. Must say this is a significant accomplishment given the fact that you have penned your thoughts/experiences regularly amidst busy work or personal commitments. Congratulations Pranav, you are one of the limited people who made their journey of blogging for 2 years.. Hope to see your blogs more in future… Happy blogging.